The battle romantic comedy manga centers on a boy named Taiga and a girl who lives next door to Taiga who has a secret. An offshoot of the original Hetalia - Axis Powers work, Hetalia - World Starts follows the strange personifications of Italy and other nations as they navigate their world. It's a fantasy about the life of a Young Master and his maid in a country called Orihen. Chang An in the Tang Dynasty of China (618-907): The demon star is passing through the sky, calamity is about to befall the Tang Dynasty - because of a woman. The story is about a little Master, Gong Yao Ying, in order to accomplish the assigned tasks, she travels across the different periods. The stories are created after meeting with the famous historical figures. 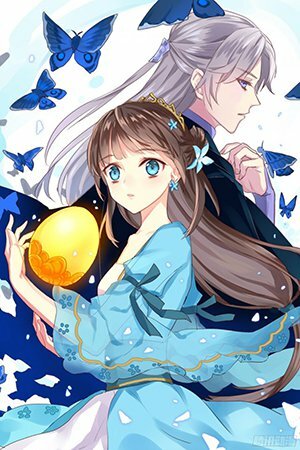 Iroha, the daughter of a good family, has just lost her father and was grieving in her garden when an arrogant but handsome man dressed in a military uniform trespasses and changes her life forever... The latest manga from Kaho Miyasaka set in a Taisho era-esque world. Sakata Gintoki is a samurai living in an era when samurai are no longer needed. To add to his troubles, oppressive aliens have moved in to invade. Gintoki lives with Kagura and Shinpachi, taking on odd jobs to make the world a better place... and to pay their rent.